We welcome the new Stadler Form Cooling Fans a cultivating brand that is sophisticated and bleeds style. A multi award winner throughout Europe – renowned for their attention to detail and innovative craftsmanship. Providing creative and stylish household appliances across the world. Stadler Form has a long history for creativity and collaborating with top designers to achieve technologically advanced appliances that are considered appealing, durable whilst being eco-friendly – profiled as high quality and elegant. Reputable Swiss designer and artist Carlo Borer is behind the development of Stadler Form floor fans the Otto and the Q. Carlo a well-known designer who was inspired to produce such cooling fans for there practicality, floor fans which were fashionable objects and add the finishing touches to a home’s requirements. • Stadler Form is a well-respected specialist in home and climate appliances. • European design to enforce a high standard of quality. • A consecutive multi award winner. • Emphasis on innovation, resource-friendly, easy to use and stylish products. 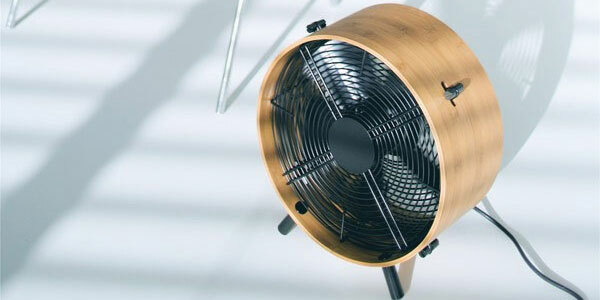 An outstanding designed cooling fan, The Otto is small in size (12”) with an industrial chic. Constructed with neat ecological bamboo casing an emphasis on sustainability and a stainless steel metal grille. 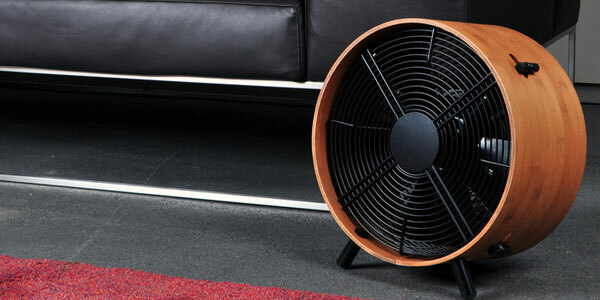 The Otto is a practical lightweight constructed floor fan with adjustable angled feet, it can be carried from room to room in your home, apartment or studio. 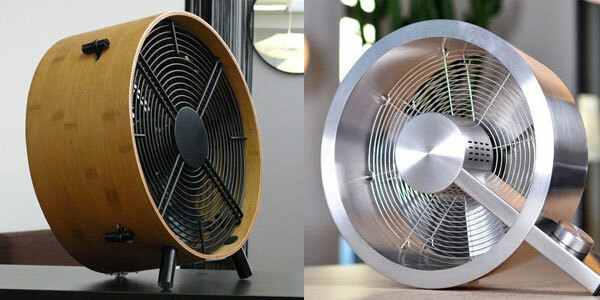 The Swiss designed floor fan by Carlo Borer generates a large amount of air circulation, controlled by its three speeds. Don’t be fooled by its height, the Otto is a solid air mover. Architecturally appealing, the Otto blends into Contemporary and Industrial interior decors. It fits within confined spaces or simply a feature of the room, an appropriate appliance for an area size of 100 m3. A reliable companion indoors, the Otto is a superior industrial-strength fan that is efficient in low energy consumption. A stainless steel icon amongst floor fans, the Q is uniquely shaped circulating a current of 2,400 m3 per hour of air to perform wonders indoors making the space fresher in style. Impressively the Q by hallmark design Carlo Borer is virtually silent whilst operating reaching its highest sound level of 58 dB(A). Performing all day and night the Q is manufactured with a removable grille for efficient cleansing of the blades, to increase the longevity of the fan. A full construction of high quality metal from top to bottom the Q is superior in versatility with an adjustable angle it is a pleasant minimalist designed ventilator that sits on a desk, bedside table and of course the floor to match your home décor of an Urban Modern or Scandinavian interior space. • Designed and developed from admired European artist and designer – Carlo Borer. • 3 speed settings – fine tuning the controls between low, medium and high. • Highest airflow level reaches 2,2400 m3/hr – a great air mover for spaces of 40 m2. 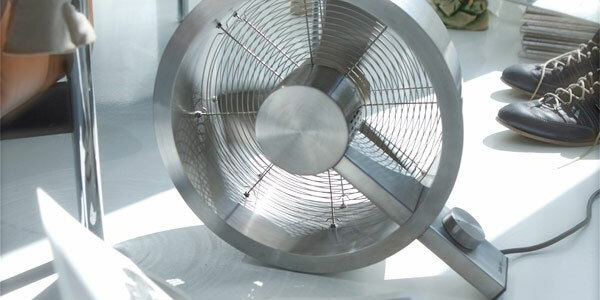 Click here to view our full range of Stadler Form Floor Fans.